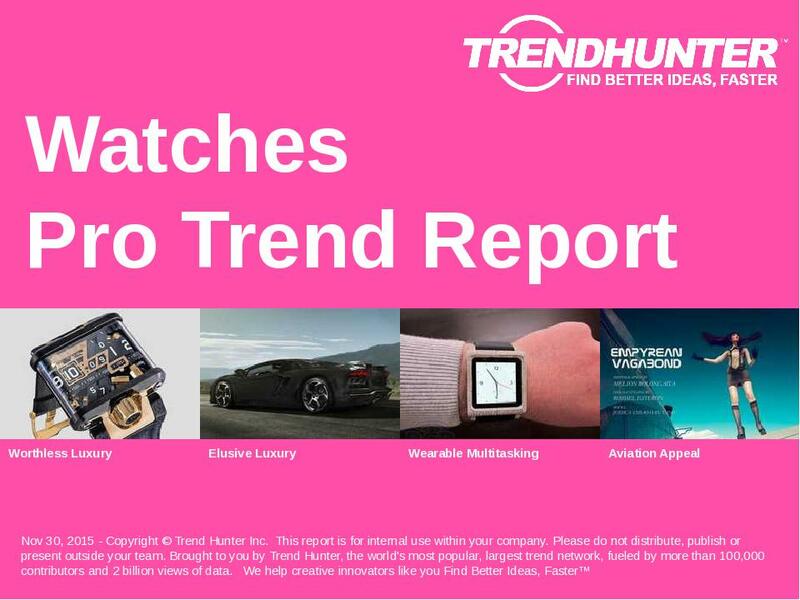 Find Better Ideas, Faster ® with a watches trend report, our PRO Dashboard and 80+ categories of premium trend reports. The Watch Trend Report provides an overview of the inventive watches and timepieces that have appeared this past year. Including innovative variations on the classic time-teller, from the watch band to its face, the Watch Trend Report explores the shifts in watch designs that have captivated consumers. You don’t have to be a luxury or established watch brand like Cartier, Casio or Timex to benefit from this research. With our report, both well-known brands and newcomers to the watch industry can gain insight and ideas into the world of chronographs. Understand what the timepiece market has in store with our crowdsourced research. The Watch Trend Report will provide insight into the watch consumer’s mindset, giving you knowledge of the most relevant watch trends so you can stay ahead of your competitors. 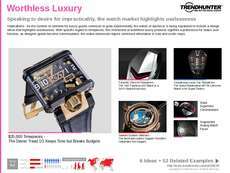 Last researched on Jan 27, 2014, the Watches research topic includes our full archive for the last few years, including 12 Watches insights and 113 examples of watches market research, including: watches, watch trends, chronograph, timepieces, watch bands, Casio, Cartier, Timex, luxury watches and watches trends. PLUS, the report is now bundled with the full Trend Report Library, including 80+ categories of reports and our past archive, including several thousand pages of insight. PLUS 10 more Watches Consumer Insights and 113 examples!